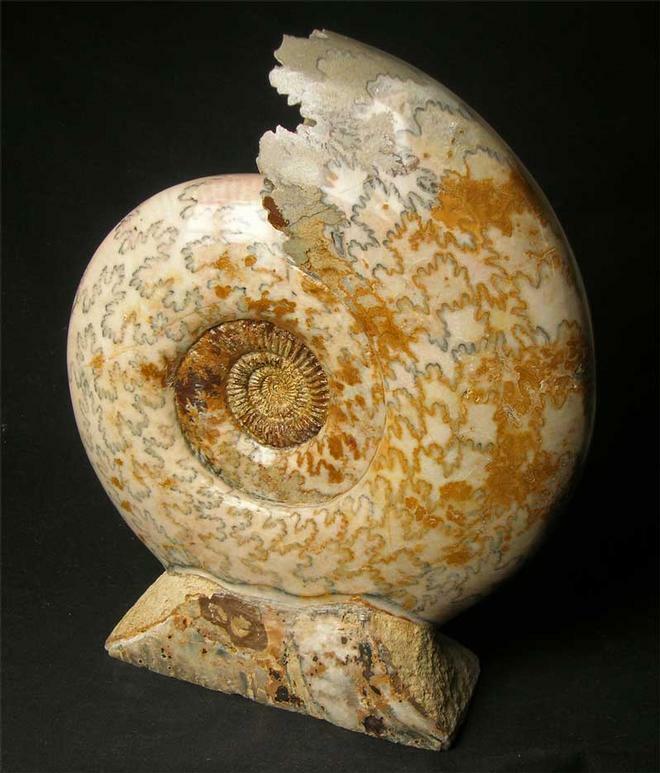 If ever anybody wanted a unique, beautiful and aesthetic ammonite, then this is the one !! 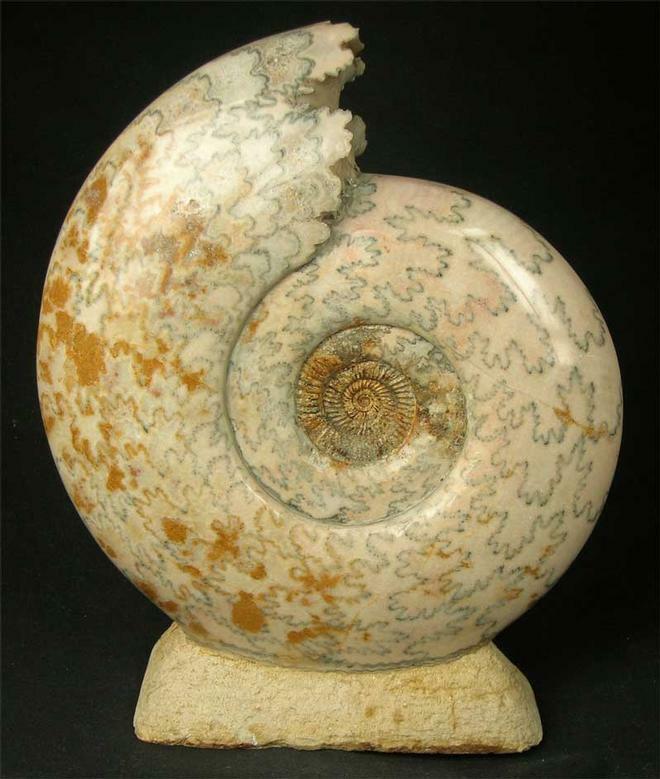 The specimen has had its shell painstakingly removed and then a professional polish has been applied to reveal the beautiful highly calcified and highly sutured specimen. The specimen has been polished on both sides. 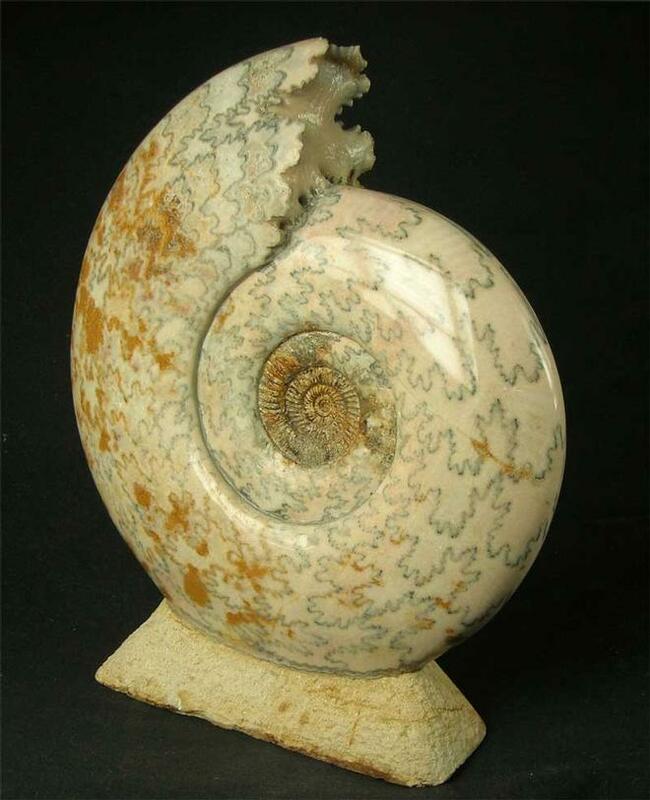 This very fine example has a cut base and would sit beautifully on any windowsill or fireplace. 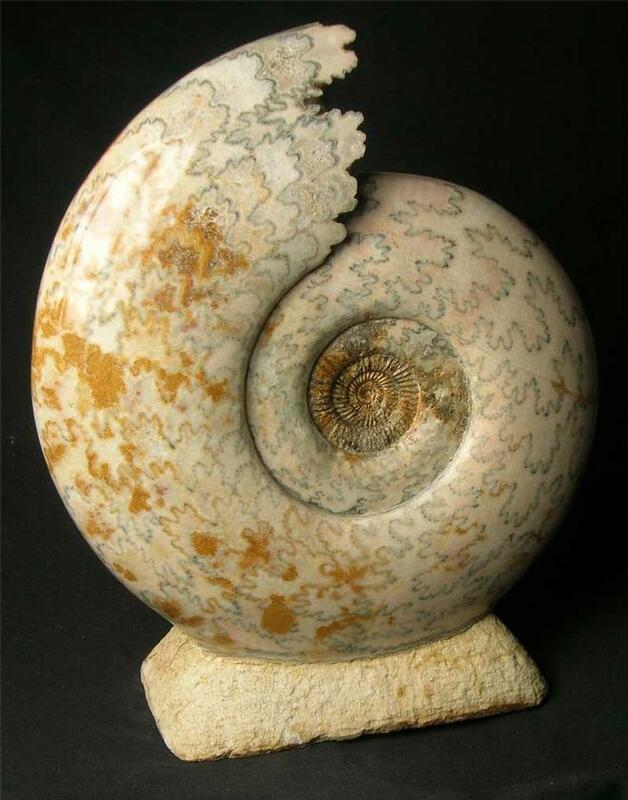 A fantastic, aswell as beautiful ammonite!